With its patent-pending design, the new Thundershirt for Cats applies gentle, constant pressure to the torso and this pressure has a dramatic calming effect for cats if they are anxious or fearful. Thundershirt has already helped many tens of thousands of dogs around the world, and is recommended by thousands of veterinarians and dog trainers. And the early results for cats look just as impressive. Cat owners and veterinarians are amazed by the positive impact a Thundershirt can have with cats. Parents use swaddling to calm an inconsolable newborn infant. People with autism use pressure to relieve their persistent anxiety. Children with certain behavioral problems use pressure shirts and weighted vests to relax and focus. TTouch animal trainers use pressure to address a wide variety of anxieties. Veterinarians use pressure to relax cattle when they are administering vaccinations. Until Thundershirt, there just hasn’t been a well-designed, inexpensive solution commonly used for cat anxiety. Why doesn’t my vet know about this remedy for anxiety and fear issues? Good question! The use of pressure to relieve feline anxiety is a relatively new concept and not well known in general. But we are working hard to change that! If you would like us to speak with your veterinarian, please contact us. 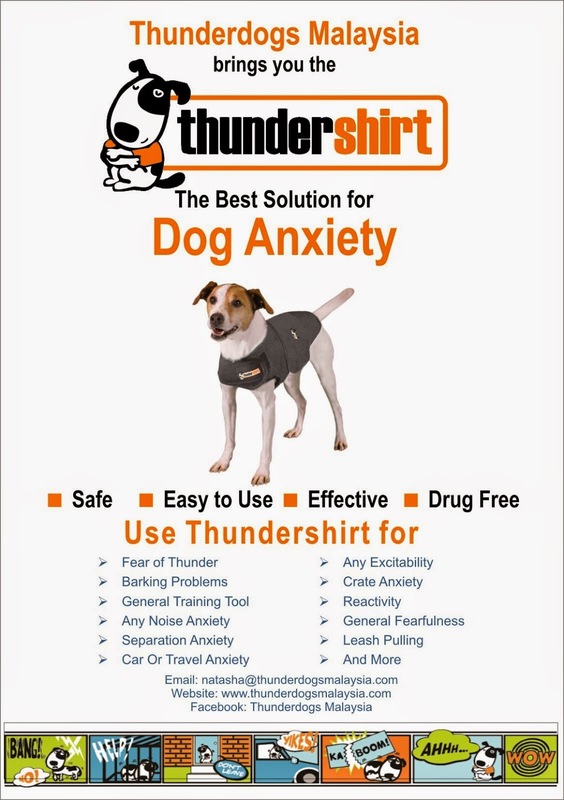 What training is required for using Thundershirt for anxiety and fear issues? For most cases… none! Just put Thundershirt onto your cat and you will likely see improvement in the symptoms. However, cats are very sensitive to having anything put onto their bodies and the “Freeze & Flop” is a common initial response. When you first put on Thundershirt, if your appears to “freeze up” or refuse to move, please see the “Freeze & Flop” section in this post. For many issues, like travel anxiety or hating vet visits, a Thundershirt may be all you need for success with your cat. For some more serious anxiety cases, such as severe separation anxiety, you should consult a good trainer for how to integrate Thundershirt into a training program. My cat freezes up, won’t move or falls over in her Thundershirt. What should I do? When first wearing a Thundershirt, some cats will behave as if they are immobilized and may even “fall over”. Don’t worry! The Thundershirt is not causing discomfort; they just need time to adjust to the new sensations. Cats are amazingly sensitive to touch and sometimes require a little more adjustment time in the beginning. But this also means that many are even more responsive than dogs to the gentle, calming pressure of a Thundershirt! If your cat initially appears uncomfortable or does the “Freeze & Flop”, please do the following. Put the Thundershirt onto your cat with very light pressure and for 5 to 10 minutes, try to engage your cat in play with a favorite toy or a laser pointer. If your cat continues to look uncomfortable or still refuses to move freely, remove the Thundershirt for a short period and then repeat the process two to three times. If still no success, try repeating the process with longer breaks in between (e.g. wait a day and then retry). How do I exchange my Thundershirt for a different size? You will need to exchange the Thundershirt at the place of purchase, as they received your payment. You may need contact the place of purchase directly to find out their exchange procedures. If you believe that you may need a different size Thundershirt for your cat, we will be happy to exchange it. 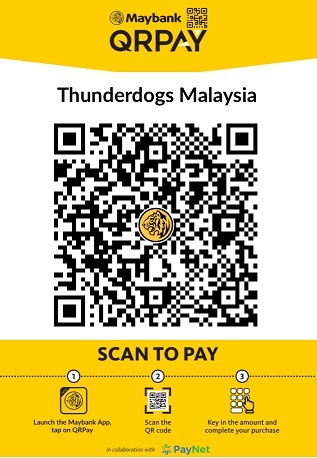 Please contact us at natasha@thunderdogsmalaysia.com to obtain the return address and send it back with the original box with a note stating the new size you’d like to have. Please note that an additional charge of RM10 will be applied for the additional postage and packaging. Can I wash and dry Thundershirt? Remove hair from fastener hooks? Thundershirt is made with durable, washable fabric. When necessary, Thundershirt may be washed in a regular cycle using regular laundry detergent and cold water. Hang to dry. If necessary, to remove cat hair from your Thundershirt’s fastener hooks, we recommend using a standard “slicker” brush (Available at most any pet store). A couple of strokes and the fastener hooks will be nearly completely hair-free. Thundershirt is designed to be safe to leave on your cat for extended periods of time when appropriate for the situation or issue that you are addressing. Thundershirt is made out of light-weight, breathable fabric, so over-heating is very rarely an issue. When properly sized and properly put on with a comfortably snug fit, your cat should be very comfortable for extended periods. Is it safe to leave my cat unsupervised while wearing her Thundershirt? Make sure that your cat is comfortable and moving freely. Make sure that your cat is using the litter box without issues. Make sure that your cat is not tending to slide her front paws into the neck hole and possibly getting stuck. We do NOT recommend having an outdoor cat wear a Thundershirt outdoors to avoid reducing her ability to escape from any potential predators and to prevent her from getting caught in trees etc. We designed Thundershirt to be very easy to put on your cat, even if she is already in a state of anxiety. What size is right for my cat? Small 9” up to 13” < 9lbs. Medium 13” up to 17” 9-13 lbs. Large 17” up to 24” > 13 lbs. Thundershirt comes in three different sizes… Small, Medium and Large. See the table to find the right size for your cat. Like people, cats come in many different shapes and sizes, so if your cat has unusual proportions, you may need to go up or down a size versus the “standard” measurements. But the Thundershirt is designed to be very adjustable to accommodate different cat shapes and still be easy to put on. Is overheating a concern when using a Thundershirt? We are considering bringing in Thundershirt for Cats as we have had a couple of enquiries about this...Please do let us know if any of you are interested in getting a Thundershirt for your cat by either leaving a comment on this post or by liking our post shared on FB... If there are enough people interested, we will bring in some Thundershirts for cats in the near future. Here's a short video of how the Thundershirt can help relieve your cat's anxieties. Thunderdogs Malaysia is pleased to announce that we now have a limited quantity of the blue & pink polo Thundershirts in the following sizes: XS, S & M.
The blue & pink polos are priced at RM175 each including delivery within Peninsular Malaysia. Use our CNY promotional voucher code for a RM10 discount for the blue & pink polos only. Please quote 2013CNYPOLO when ordering. This voucher code is valid till 15 March 2013. Additionally, we also have a very limited quantity of size XXS Thundershirts in Grey in stock. Payment information will be sent to you, and your Thundershirt will be put in the post within 3 working days of receipt of payment. Please ensure that there will be someone to collect the Thundershirt at the address provided as your Thundershirt will be sent via PosLaju.